NTPC wants to set up projects in other countries, too. The perception of an increased threat from separatist outfit Liberation Tigers of Tamil Eelam (LTTE) has forced NTPC Ltd, India’s largest power generation company, to relocate its proposed 500MW coal-based thermal power plant in Sri Lanka. The power project is an attempt by India to engage its neighbours both politically and economically; the Indian Navy has access to the Bay of Trincomalee under an accord signed by the two countries. The NTPC plant is expected to significantly enhance power supplies in the island nation. Sri Lanka has a total power-generation capacity of only 2,500MW, against India’s capacity of 130,000MW. The project in Sri Lanka is important for NTPC to globally demonstrate its ability to set up power projects in other countries. The company also plans to set up power plants in Nigeria, which is allocating long-term supplies of liquiefied natural gas (LNG) to fuel NTPC’s plants in India. “Sri Lanka is in need of power generation (capacity) as the power supply situation there is weak. Being a major power generation player in this part of the world, it is a good thing for NTPC to set up projects outside India," said R.V. Shahi, former secretary in India’s power ministry. 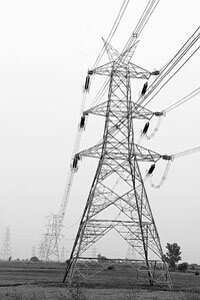 However, a Mumbai-based power sector analyst who did not wish to be identified said that it remained to be seen whether there was a big international market for NTPC. “Not many power generation companies have a global presence," the analyst added. NTPC’s Sri Lankan project involves an investment of $500 million (Rs1,965 crore) and is to be set up in a joint venture with the Ceylon Electricity Board. It is expected to be commissioned by 2011. The project will be set up on a build, operate, own and transfer basis and will have a debt-to-equity ratio of 70:30. It will use around 2.5 million tonnes per annum of imported coal, which may be sourced from Australia and Indonesia.